Belgium might be famous for waffles, chocolates and beer but there are some other delicious food items that this country have to offer, one of them is this Flemish stew or Carbonade Flamande. This national dish of Belgium is made out of beef and onions slowly stewed in dark Belgian beer like Oud Bruin, Brune Abbey Beer or Flanders which gives it a distinct sour and bitter taste. Herbs like thyme, bay leaf and mustard are commonly used to enhance flavour and give a nice aroma. A really simple and hearty dish which is good to serve with bread, potatoes or even rice. In a bowl, toss together beef, flour, salt, and pepper. Make sure beef is evenly coated with flour mixture. Prepare a heavy saucepan, add oil then brown beef on all sides. Remove beef from sauce pan then set aside. Add onions, garlic and brown sugar in the saucepan then cook until onions are soft, add oil if necessary. Place the beef back then pour in beer and beef stock, bring it to a boil. Reduce to simmering heat, then add the parsley, bay leaf and thyme, simmer for 1 hour. Add the carrots and mushrooms, simmer for 30 more minutes. Stir in the apple cider vinegar then season with salt and pepper. Turn heat off then serve. I have some chuck roast in my freezer, perfect for this. Looks amazing! Looks wonderful! Next time I make a stew, I will be sure to add beer! The button mushrooms looks irresistible to digging in…..
btw, presenting a stew dish is not so easy Ray, you just nailed it my friend! This looks delicious. Gorgeous pics. 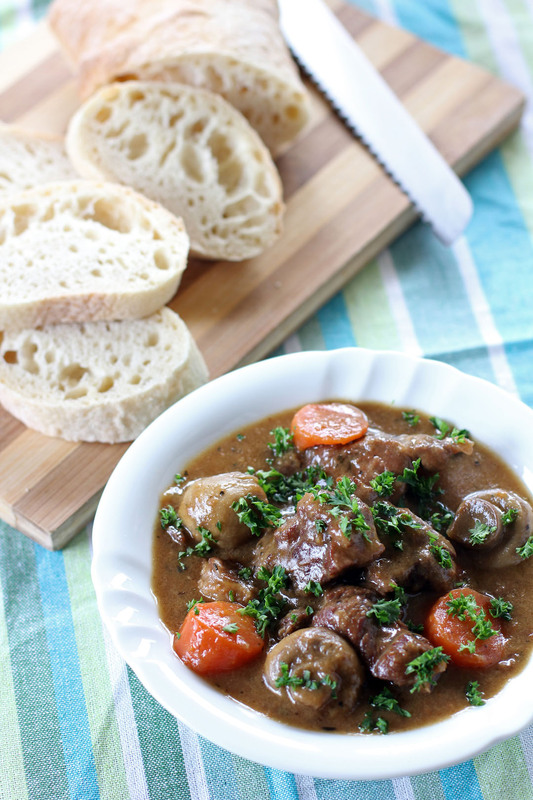 It’s like a more beer-y version of beef bourguignon. Anything with dark beer in it is my kind of dish. Lovely photos too! Sounds delicious! I will trying this! Your crystal clear photos makes me want to reach out for a bite! This stew sounds delicious, Raymund! I just want to dig a big spoon in. This sounds so delicious Raymund. 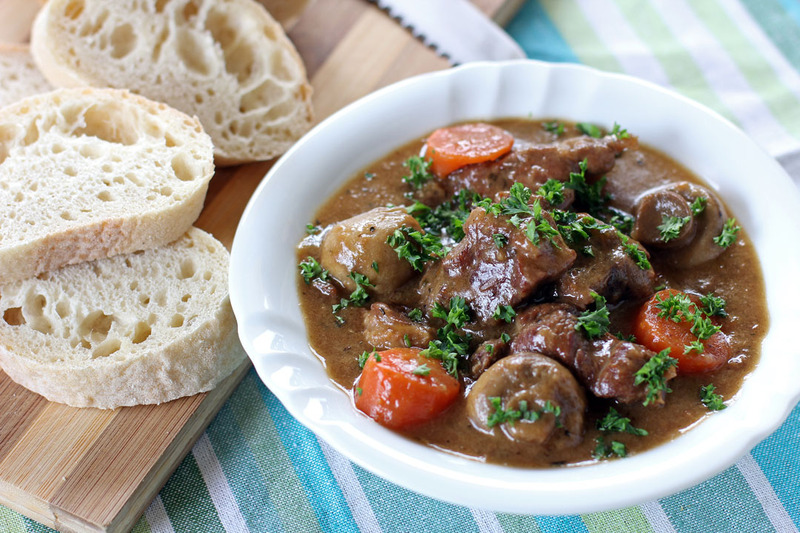 I’ve never heard of Flemish Stew, but it sounds perfect for our cooler weather. What a comforting stew; it looks delicious!